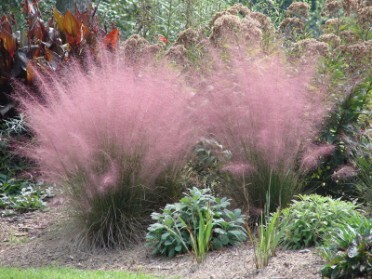 Muhlenbergia capillaris is also called muhly grass, native to arid and semi-arid habitats. They are warm season, clumping grasses. Spectacular in a large container!